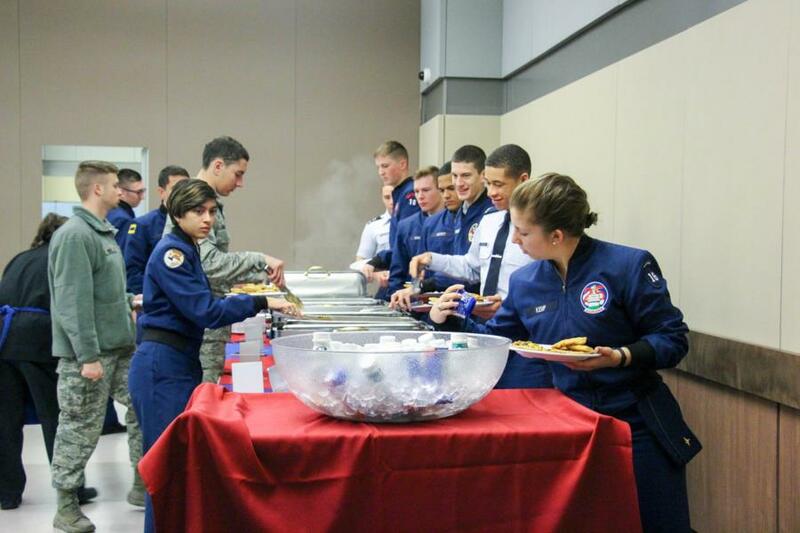 We attended the most recent Quarterly Cadet Food Focus Group this week. What is the Purpose? 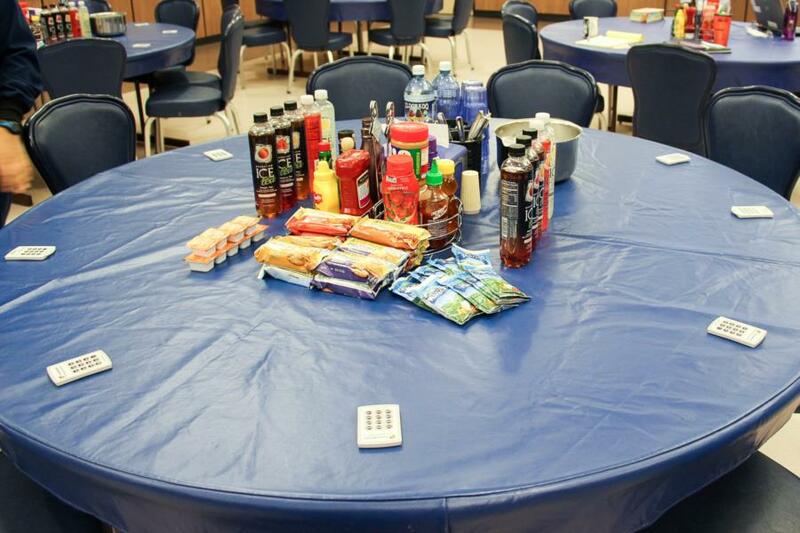 It allows Cadets the opportunity to provide feedback to Mitchell Hall staff regarding menu items and other food issues. Yesterday’s group had a participation number of 35 male and 20 female Cadets and each class year was represented as well. Of the 55 participants 18 Cadets were from the class of 2016, 21 Cadets were from the class of 2017, 12 were Cadets from the class of 2018 and 2 were Cadets from the class of 2019. At each table they had several things for the Cadets to taste test and when they were ready to vote on them, each Cadet was provided with a clicker. Which when used to vote on an item could be instantly viewed on screen for the Mitchell Hall staff and the cadets participating to see as feedback.. They had the opportunity to try two new flavors of Ice Tea as well as two new flavors of Lemonades. The Cadets had taste tests with new Chicken Strips, a Sausage Egg and Cheese Breakfast Slider, a Sausage Egg and Cheese Breakfast Flatbread, and Dannon Greek Yogurt. When they voted on each item they voted whether or not they liked the item and if they preferred it more or less to an item that was currently being served in Mitchell Hall. All in all it was a very successful Quarterly Cadet Food Focus Group. We look forward to attending the next one closer to the end of the school year. To view the rest of the pictures taken from the event go to Galleries - Extracurricular - Cadet Life. Or click the link below.